Note: This is a repost of a a small guide I posted on the VCF Forums a few years ago. Someone referenced that post in a Facebook post today and since I think it’s useful information, I thought I would add it to my blog for posterity. I’ve recently had a few people ask me about the differences between the various MC68000 CPU boards that were released for the Model 16/16B/6000. The availability and value of these boards vary widely. So, I decided to put together a quick spotters guide. There were 3 distinct boards released for the big Tandys between 1982 and 1986. Any of the boards will work in a Model II or 16. Only the smaller boards will fit in a 12/16B/6000. 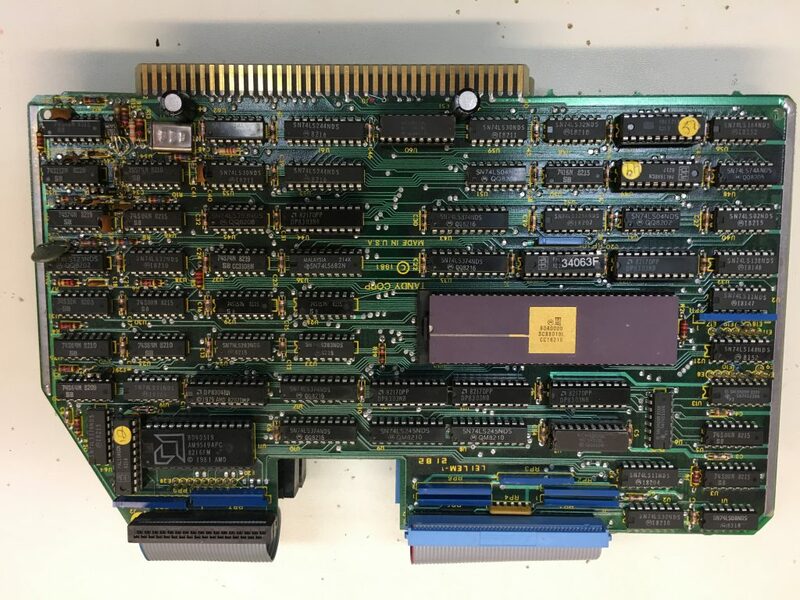 These boards require at a minimum a 128K matching memory board. But, you could mix and match memory at 128k, 256k, 384k, 512k, 768k and 1MB increments where the limit is mostly determined by the number of available slots in the computer. The Model 16 6Mhz “large” 68K board. 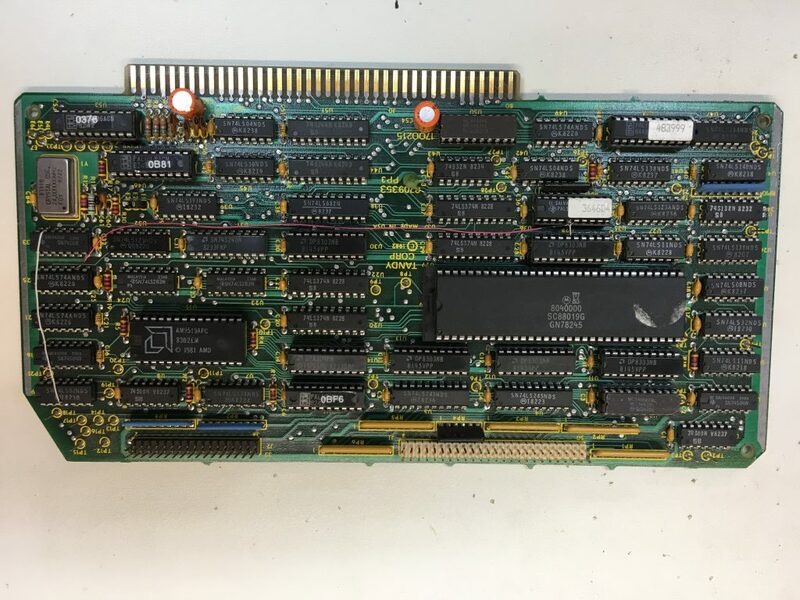 This was the first board released with the Model 16 in 1982 and also provided in the Model 16 Upgrade kit for the Model II. This one is easy to identify by its shape. It is sometimes referred to as the “dog-eared” board. This has an obvious TANDY CORP 1981 copyright mark in the center. You’ll notice the distinct inset that allowed the Model II/16 card cage cross-bar bracket to properly secure the board. This board will only run Xenix 1.x and is fairly common and therefore inexpensive. The Model 16B 6Mhz “small” board. This is the board that was released in the Model 16B and in the 16B Upgrade kit for the Model 12. 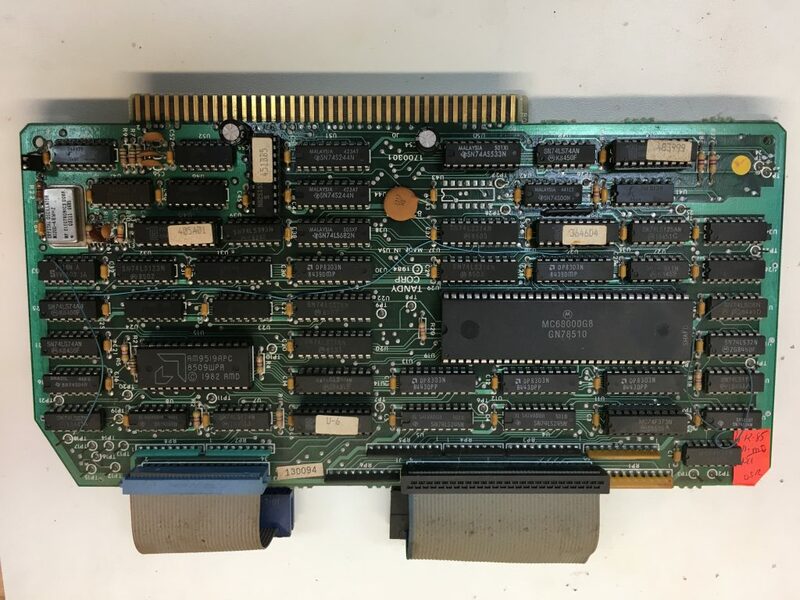 This board is noticeably more compact than the “large” 6Mhz board which let it fit properly in the 16B card cage which uses side brackets rather than the crossbar. This board has a 1982 copyright date. This board is uncommon. The photo on the bottom is the same small board with the official PAL upgrade. This factory upgrade of 2 PAL chips (marked with the white tags) allowed the 16B to run Xenix 3.x once the Tandy 6000 was released. The PAL upgrade is rare. The Tandy 6000 8Mhz board. This is the final and ultimate iteration of the MC68000 CPU board that came with an 8Mhz MC68000. It was released along with the Tandy 6000 in 1985. It is the same size and shape as the “small” 6Mhz board which can lead to confusion. This board has a 1984 copyright date which is the tell-tale way to distinguish this board. There is also a slight difference in the arrangement of chips in one corner of the board compared to the 6Mhz board. This board came with the upgraded PAL chips which allowed it to run Xenix 3.x. There was a super rare factory MMU modification for this board which allowed it to address 4MB of RAM. These 8Mhz boards are pretty much unobtanium now outside of finding one in a Tandy 6000. 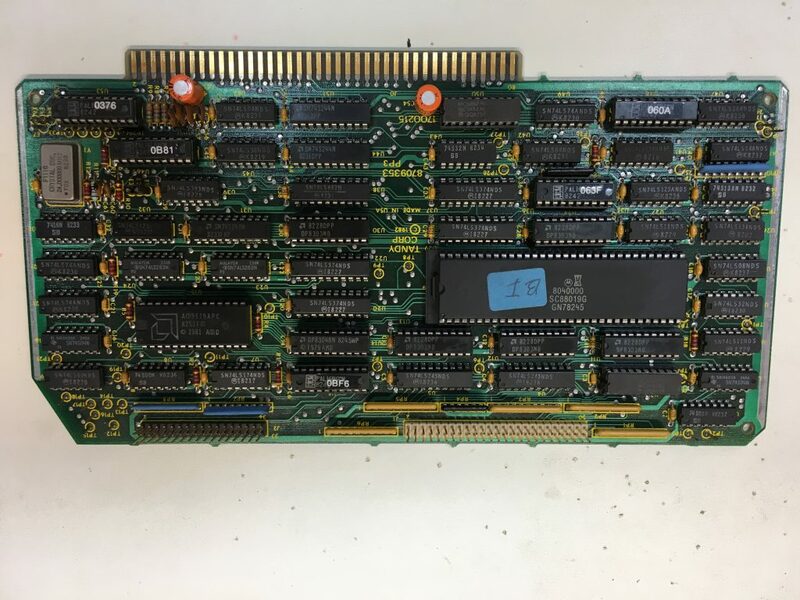 By the way, if you ever purchase a Tandy 6000 be sure to make sure it has the 8Mhz board with matching 512MB minimum memory. I have seen 6000s for sale missing these boards and they are easily 1/2 the value of the machine. You will not find these boards separately.